Event marketing involves a promotional activity that allows a company’s products and services to have heightened public exposure. The best part about event marketing is that professional event planners strive to make events worth attending. For example, an event can have special prices, free giveaways, and food while promoting a fun social environment. Event marketing is not about making people feel like they are attending a live commercial where a company’s products and services are pushed upon those in attendance. Conversely, event marketing is about creating a fun event that people genuinely want to attend. Events allow organizations and companies to have direct personal contact with their customers and clients, which is where traditional marketing tactics fall short. However, event marketing is not only about the event itself. Event marketing professionals execute public relations and marketing campaigns surrounding their event to insure the public knows about the event and it is well-attended. Typical events include holiday parties, charity events, open houses, and grand openings. Here at Image Marketing Consultants we specialize in event planning. Our most recent event marketing clients include Puerto Vallarta and EasySeat. For Puerto Vallarta, a Mexican restaurant, we planned a grand opening event at their new location in Orange, CT. Before the actual event we carried out a marketing and PR campaign. Our major marketing tactics included social media, press releases, and a segment with the owner of the restaurant on NBC Connecticut. For the event itself 99.1 PLR agreed to host their mostly Wig Out at the new Puerto Vallarta location. This was definitely a highlight as Mike Lapitino and the Wigmaster have quite the cult following in the area. 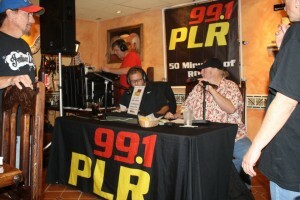 We felt that having 99.1 PLR at the event drew a significant crowd while providing a fun social environment for guests. Additionally, Puerto Vallarta had free food as well as $3 margaritas and $2 draft beers. However, most importantly the Puerto Vallarta team was able to interact with their community and extend their network of customers. For pictures of the event click here! 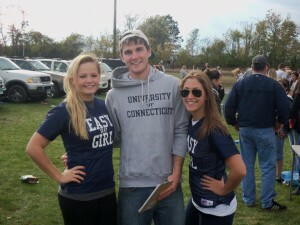 For EasySeat, a third-party ticket vendor, we designed an event surrounding the UConn home football games. We have a street team of “EasySeat Girls” that interact with tailgaters and hand out EasySeat promotional items and flyers. This is a non-traditional event marketing campaign that enables the public to connect a company with a face. Like the Puerto Vallarta event the EasySeat campaign did not only involve the event itself. The campaign as a whole involved strategic radio buying as well as a concentrated advertising scheme. 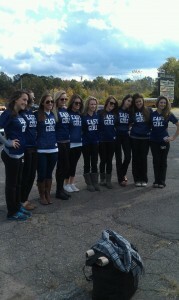 For pictures of the EasySeat girls be sure to check out their facebook page!